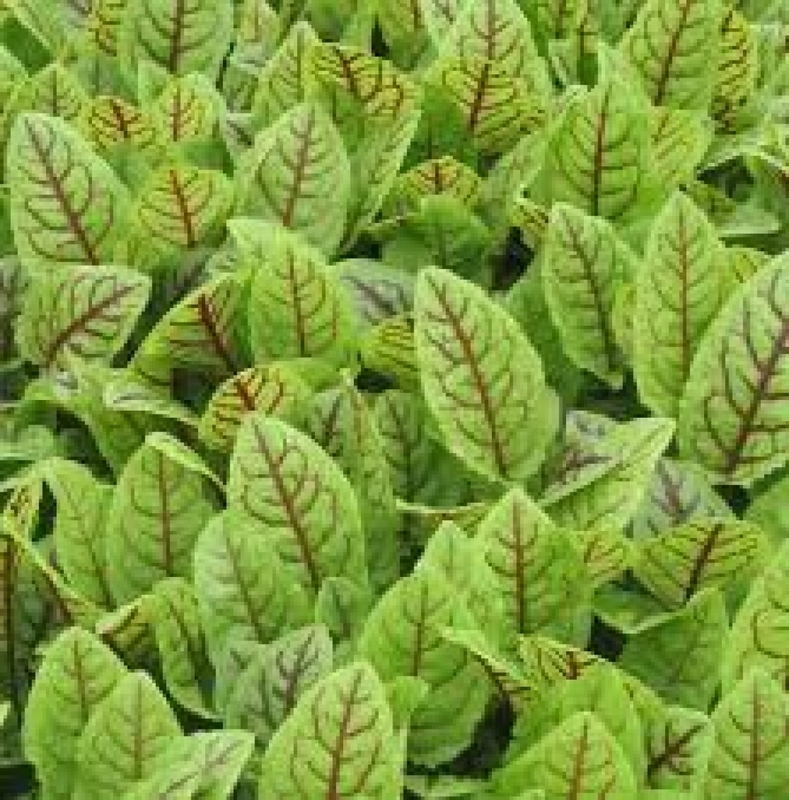 Also known as Blood sorrel (R. sanguineus), makes a beautiful ornamental to grow in partial shade, but the leaves are only edible when very young. 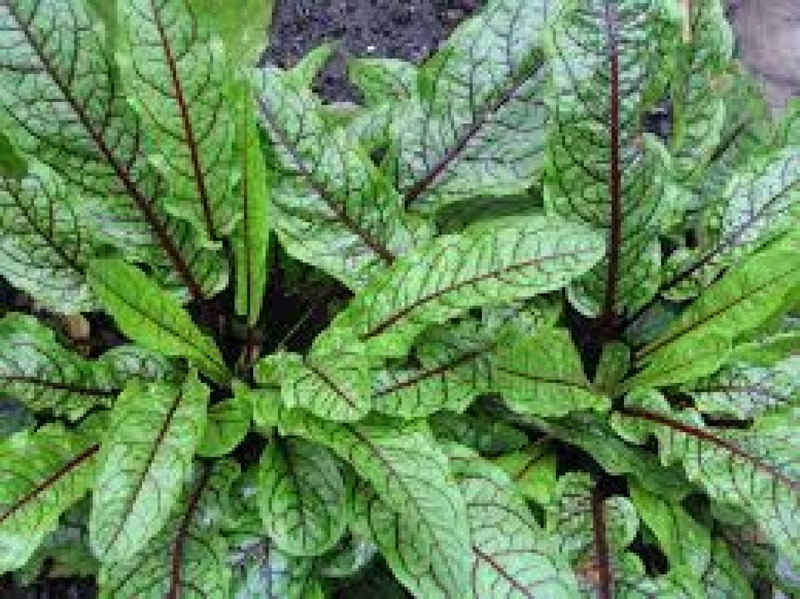 Beautiful leaves of Red Vined Sorrel with a lemony sharp flavor will add an interesting addition to fresh salads and bright up your salad. 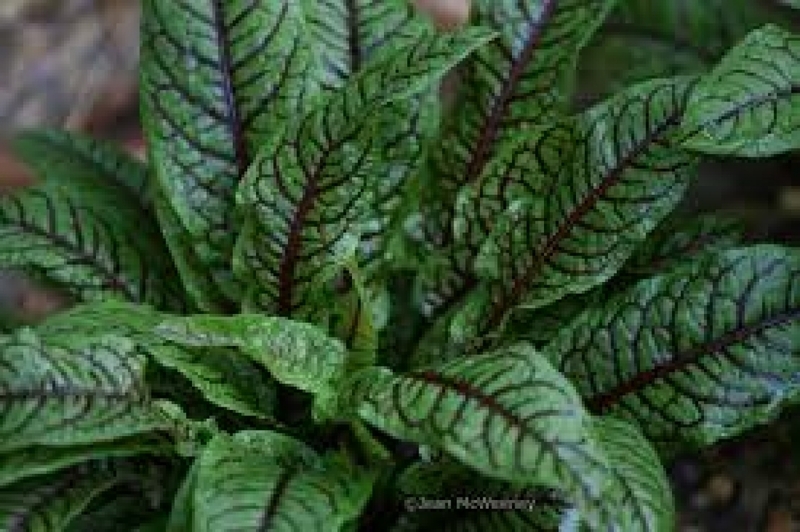 Or you can add in your sandwich, lemony sauces or make a creamy sorrel soup with it. 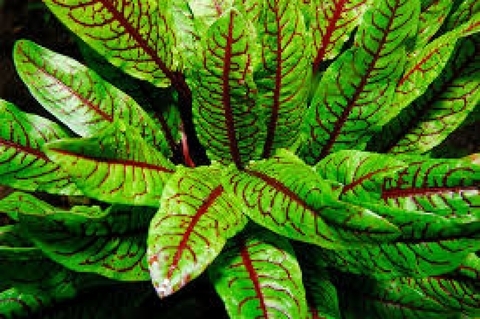 Red sorrel is generally a plant that requires little attention, doing well in warm climates and growing in cooler areas. In the tropical areas, it can be grown as a cool season annual. It prefers full sun, but this may depend upon how hot the garden aspect is. Sorrel can tolerate part shade and some gardeners recommend a sheltered position. Sorrel is considered vulnerable to frost and will need some cover or protection if it is to survive. Size : Arrow shape 6" - 8"